With 743 RV sites available on our campground, you’ll be able to camp any way you prefer – are you looking for a lakeview or to be up on a hill? Do you want to be surrounded by other campers that will quickly become your friends or would you like more private grounds? No matter what your preferences are, we will find a site that will make your camping experience nothing less than perfect. 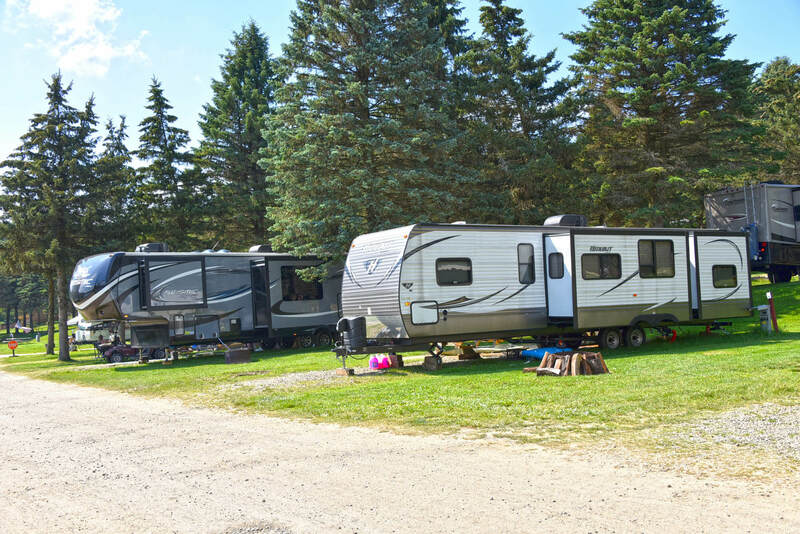 Our RV sites are also equipped with everything you’ll need for an enjoyable and seamless experience. Each site is complete with water and electric hook-up, and allows enough space for two vehicles and one golf cart in addition to the RV.